Vertical operating latch and retaining chain ensures safe, effective operation. Tarp Hooks located to ensure effective cover securement. Heavy Duty wheel assists in easy container movement. 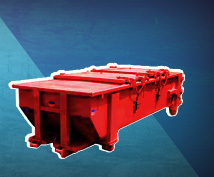 Front skids are stress resistant and support the container in level position to eliminate moisture build-up. Through the plate, Heavy Duty Pull Hook. Welded top and bottom for durability and safety. Front end with solid rail noses and full size rollers also maximize strength and container life. OPTIONS:Ampliroll, Heil and Dino pick up also available. 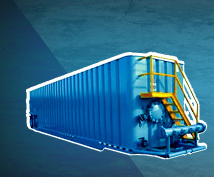 Start with a design that has been professionally engineered, add the highest quality steel, and an experienced team of zero-defect fabricators and tough quality control inspectors and you get the best open top container on the market.